There are different materials to be used in doing the painting process. In looking for the paint that you are going to use, you may encounter different types of paints. With those types of paints one of it are the Airless sprayers. Using airless sprayers allows the user to pump paint at high pressure which can be more than 3000 psi even if it will just run through a hose and a tiny hole on the spray gun. To know the different type of airless sprayers, read through this article. 1.1 Why Choose Airless Diaphragm Sprayers? 2.1 How Piston Airless Sprayer Works? 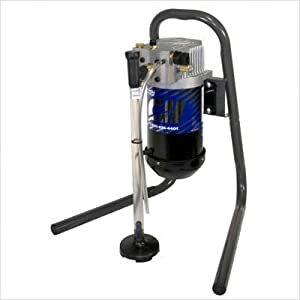 Diaphragm Airless Sprayers is an airless sprayer that uses hydraulic piston in order to draw certain hydraulic fluid from the pump and compress it under a plastic diaphragm. This created enough suction in order to draw the paint product with the suction hose since the diaphragm pounds it inconsistently and it causes the suction valve to open as well as close from above the diaphragm. If ever that the paint had already passed through suction valve, then it enters outlet valve that contains check valve. It allows paint to come out from outlet valve although it does not allow any pressure to the hose in order to push it back through outlet valve. Each of the diaphragm airless sprays is used by means of pressure control valve that has the capacity to regulate rate where hydraulic fluid is being released from piston block and back to piston oil sump. It can also be through electronic motors like AC and gasoline motors by the use of eccentric bearing in the crankshaft’s end. The bearing will simply push hydraulic piston upward and downwards to compress hydraulic fluid beneath the diaphragm. Why Choose Airless Diaphragm Sprayers? It is always very ideal to choose Diaphragm Airless Sprayers since it is a type of mechanical sprayer that does not require electronic equipment like sensors or computer boards. When usage will be talked about, it simply delivers paint with the use of a spray tip as what result you are expecting. These are the airless sprayers that use dual acting pumps to draw paint from the container. This allows pump to transfer and draw paint with the use of a foot valve or inlet valve at the center of the pump and outlet valve on piston rod. How Piston Airless Sprayer Works? If the airless pump runs already, the fluid will continuously be transferred on a tiny hose into a fixed high filter pressure into pump, motor or even on the framed of the sprayer. The filter will trap those tiny bits of any rubbish or debris in the paint which can possibly block the tip or airless spray. Also, airless sprayer pressure is being regulated through an electronic feeler that has the capacity to stop the motor and start the selected pressure by the user into the maximum setting for pressure by selecting default on the computer. Unlike diaphragm, most of the present Piston airless sprayer has its computer boards which control the machine when it is going to stop and has also the capacity to adjust motor speed that will also depend upon the spray tip size that has been chosen by the user. Those electronic piston airless sprayers are usually driven of DC motors even if these motors produces high force ad very light. They require components like pressure control, pressure sensors as well as computer boards. 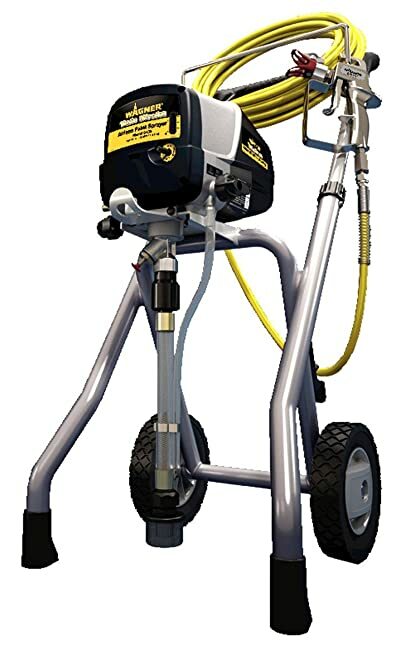 This is the airless sprayers that uses dual acting pump and at the same time as piston airless sprayers although then it has a drive that id being driven by air motor. Those air driven motors are reciprocating motors that usually works with basic air pressure resistance in motor than the pressure of fluid pump. Usually, Pneumatic Airless sprayers are being classed by ration of air pressure that is fed into a pump air motor that determines fluid pressure which flows out form the pump. Pneumatic airless sprayers are commonly used for industrial coating type where those electrical menaces like steel applications or applications where electricity supply has been limited or unavailable. It is useful for denser industrial coatings which always require atomization pressure within the tip of spray. It is always good to select the right airless spray on the purpose of painting. It is always essential to use as it simply saves your time and effort in doing your work for painting. This also leaves very satisfying works that leaves good impression to whoever can see the result of your painting job. You may have two options in using airless spray and that is either to rent or buy. Whichever way you want to have it, what matters is that you choose the sprayer that suits you painting job.